More and more businesses have been reaching out internationally in order to find the best talent possible. As technology makes it easier for us to connect, it follows that the workplace is becoming a more globalized space as well. Whether the company is expanding into a new environment physically or digitally, one problem constantly crops up—the matter of how to pay international employees. It's a tricky question and often a frustrating one as well. You need to consider the laws in your own country which dictate how and when an employee should be paid, but also observe and follow the laws of another country, too. You'll find different standards and practices, but also unspoken rules—cultural expectations and the like. Thankfully, there is a way to navigate these murky waters that has the business world sighing with relief. Businesses looking to pay international employees face a challenge. Remaining compliant while ensuring that everyone is fairly compensated is difficult and that's why the first step is research. It's important to know the social security, tax, and tax withholding position, and to determine how and where you'll be directing the payments themselves. In Canada, even a US business needs to concern itself with ensuring the appropriate deductions are made—things like the Canadian Pension Plan, Employment Insurance, and income tax must all come off each paycheque. Failure to comply can lead to serious trouble with the Canadian Revenue Agency, and might even lead to violation of labour and employment laws. This doesn't apply to all employees, though, such as certain types of independent contractors and workers. You'll want to understand employee classification before you begin to pay international employees. Financially, many companies set aside a sum of cash in their own currency to pay out to international employees, while others convert their currency to that of the country they're working within. This too can come with some challenges, as exchange rates are subject to constant fluctuation and can lead to risks (or gains) as the market changes. Be careful if you’re transferring money as well, since some countries have limits on the amount that can be transferred legally. When it comes to how to pay international employees, many turn to PEOs (or professional employer organizations) for help. A PEO is a third party organization that manages support services on behalf of other companies—most commonly, this means handling payroll and all the complications that come with it. In the case of businesses that have expanded into other countries, or businesses that have hired international employees, they're especially useful. In effect, once partnered with, q PEO acts as the legal employer of your worker, which means they take responsibility for paying them and ensuring everything is completely compliant. As the main partner, you have final say on all things, as dictated by a contract agreed upon at the beginning of the arrangement. When it comes to how to pay international employees, a PEO helps your business navigate tricky employment and tax laws. This means you don't have to register a business account, you don't have to set up a separate payroll department, and best of all, you don't need to worry about exchange rates or compliance. Problem solved. Expanding your business operations into foreign markets can be a great way to increase your brand recognition and your profit margin. However, it also requires you to deal with many technical and administrative tasks. One of the most important things you’re going to need to do is hire international employees to work for you in the new markets—and then you’re going to need to pay them the right way. This isn’t so easy. Here’s how to pay your international workers correctly. What Is the Right Way to Pay International Employees? Paying your international employees isn’t the same as paying workers in your own country. The right way to process payroll is to ensure you understand and follow the local payroll and tax laws of the foreign country you’re operating in. That means knowing the federal, state, and local laws that apply to your company. Though the federal laws will be the same no matter where you work in the country, the state and local laws will vary depending on your specific address. Though the payroll regulations and tax legislature might be similar to those in your home country, they will not be the same. Tax rates might differ, the deductions will be different, and the deadlines and due dates will vary. There might also be different laws surrounding overtime, holiday pay, and leave than you’re used to. 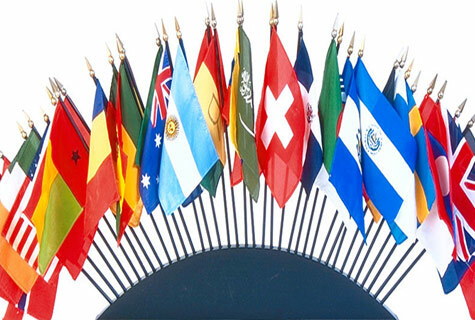 It is your responsibility to ensure that you are paying your international employees correctly. Tax fraud and illegal payment methods, like misclassifying employees as independent contractors and cutting cheques without making the required deductions, sending the government remittances, and filing the right paperwork, will land you into trouble. Not only will you need to learn the current payroll and tax laws, you’ll need to check for updates since these laws are always changing. And you’ll likely have to buy brand-new payroll software that is specifically created for processing in the country you’re operating in. Your payroll budget might be affected by conversion. You will likely be creating your budget based on your country’s funds, but this might not correspond exactly with the funds of the country you’re in. To ensure you don’t go over budget when paying your international employees, make sure you always consider conversion rates. These rates fluctuate often, so you should be converting your funds for payroll at the most advantageous times. 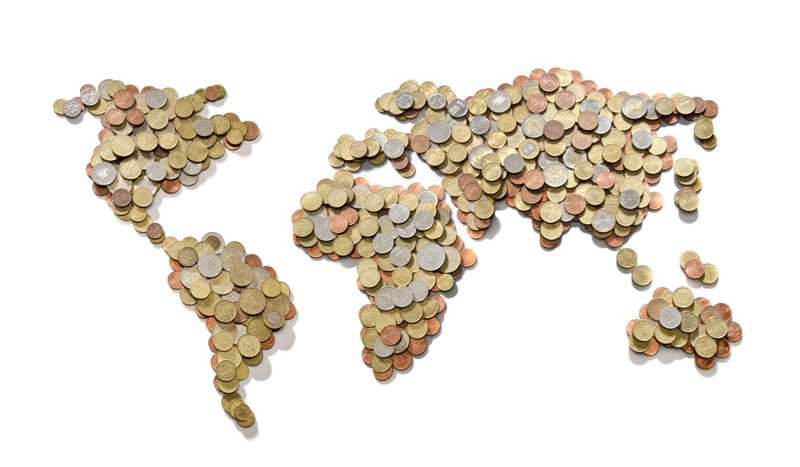 A huge exchange rate can hurt your payroll budget. The type of international employees you need to hire might be paid a typical salary rate in your country, but the skills demand in the country you’re working in might be different. You should do salary research ahead of time so you know what compensation you should be offering—you might catch a break and be able to pay them less, or you might have to dish out more to get the skills you need in that country. The most efficient and cost-effective way to pay your international employees accurately, promptly, and within the law is to engage an EOR, often called a professional employer organization (PEO). Many foreign companies benefit from handing over the responsibility of paying their workers to an EOR. Under the law, whoever pays the workers is legally responsible for them, so once you sign over your workers to an EOR, you’ll still have access to their services as you would if you were their employer, but you won’t have to worry about correctly processing payroll, dealing with government bodies, ensuring tax compliance, or filing paperwork. The experts at the EOR will take care of all of the administrative work that comes with payroll and human resources. An EOR helps you protect your company while paying international employees. It will also save you time from handling administrative tasks, so you can focus on your expansion efforts. 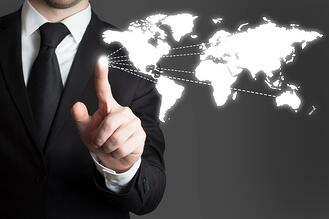 Expanding your business operations to emerging markets is a logical step for many companies. Sometimes, your company’s future growth depends on it. But your expansion efforts rely on the use of international employees to work in your new markets. Regardless of where your business is located or how far away your international employees reside, you need to know how to pay them effectively or risk getting into a heap of government trouble, which can lead to heavy fines and penalties. If you’re using international employees, you need to take a cohesive approach to your new payroll and compensation plan. Here are a couple tips that can help you stay compliant when paying foreign workers. You probably know everything there is to know about the business payroll laws in your country. But the local laws can be drastically different when you’re expanding into new countries. Each area has its own tax regulations and payroll legislature. It’s up to you to know the local legislature and understand how it fits within your company if you’re going to be doing business on foreign soil. Unfamiliarity and ignorance are no excuse for tax fraud or illegal payment methods. You’ll need to sign up with the appropriate payroll authorities, maintain accounts, and regularly submit required information. And since payroll legislature is constantly changing, you’ll need to stay up to date on all the current data in order to stay compliant. Naturally, you’re going to have a payroll budget—but this budget is set in your country’s funds. Do you know what it actually amounts to in the funds of other countries? To ensure you don’t accidentally go over your budget because of the difference in funds, always consider conversion rates before you hire international employees. Additionally, currency conversion rates fluctuate, so consider this fluctuation and try to convert your funds at the most advantageous times so you don’t get hit with a huge exchange rate that can hurt your budget unexpectedly. Of course this is on the assumption that the salary you offer in your own country for a specific position will be the same expectation of someone with the same type of qualifications in another country. Understanding salary expectations in another country should be part of your research due diligence when hiring any foreign team members. Depending on where you’re hiring your new international employees, the cultural nuances when it comes to payment can be vastly different from yours. For example, in some countries, employees are paid monthly rather than bi-weekly. The rules surrounding paid time off, overtime as well as family obligations vary from country to country as well as the worker’s expectation of health benefits and retirement investments. On top of learning and understanding the local payroll laws, you’ll also need to take some time to learn the unwritten rules in the country you’re considering expanding in. Some payroll providers specialize in helping foreign countries expand into their country. Often called a Professional Employment Organization (PEO) or Employer of Record (EOR), they have the knowledge and experience needed to make sure you’re always compliant from not only a payroll perspective but also when it comes to meeting employment standards within the worker’s country. They’ll take on the responsibility of compliance, make sure you’re always in line with the local employment and tax laws, and keep track of all the appropriate information you need to protect your company while paying foreign workers. They take over the time-consuming and complex responsibility so you can stay focused on more important business tasks during your expansion. When you’re expanding into foreign markets, it makes sense to hire international employees to work from their respected countries. However, if you don’t know and understand the local laws, exchange rates, and cultural nuances, your new endeavour can end up costing you far more than you expected. Stay up to date or outsource your payroll and HR to a local employer of record for best results.